A lonely boy walking along a highway one autumn evening meets the boy of his dreams, a boy who happens to have died decades ago and haunts the road. Awkward crushes, both bitter and sweet, lead him to face youthful dreams and childish fears. 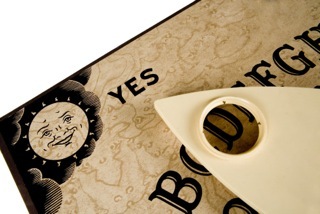 With its cast of offbeat friends, antiques, and Ouija boards, ﻿Vintage ﻿is not your typical romance but does offers readers a memorable blend of dark humor, chills and love. A finalist for the Andre Norton Award! "An unnamed, gay Goth enthusiast and his friend Trace spend their time frequenting thrift shops, attending random funerals, and playing with ouija boards. On the way home from one of their jaunts, the protagonist finds himself haunted by a jock-ish ghost dressed in 1950s regalia. At first, he is charmed, intrigued, and turned on, but when the ghost, Josh, turns out to be a jealous maniac bent on keeping him forever, the teen discovers that he needs to ditch the demon and fast before it's too late. The action kicks off with a blast in this slim, densely packed volume and keeps chugging forward until the bitter end. Berman has created a creepy, kitschy, lusty atmosphere particularly when the narrator's abilities to tap into a ghost's past are harnessed that should appeal to mature horror fans." 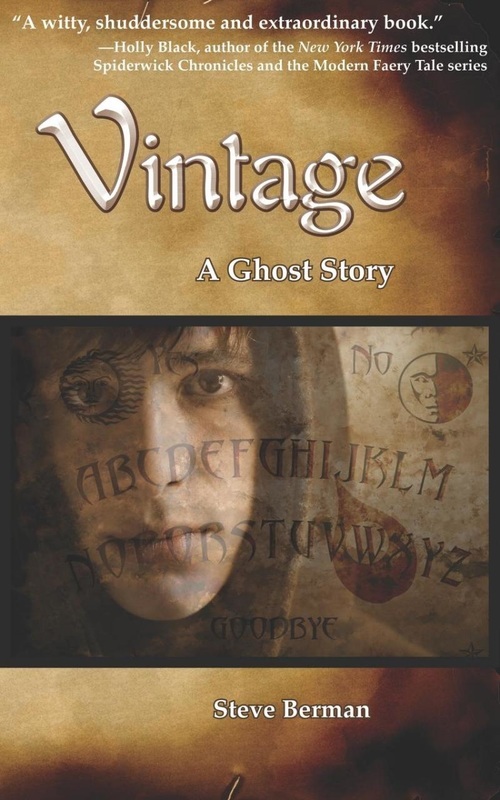 "Steve Berman's first novel Vintage is a skillful brew of Goth fashion, gay teen alienation, a sexually predatory ghost from the legendary past and an improvised exorcism into which the author has blended a surprisingly sweet coming-of-age love story." "A witty, shuddersome, and extraordinary book that haunts as it charms."